Join us and record vocals on the song of your choice. Provide a track or choose from the web. 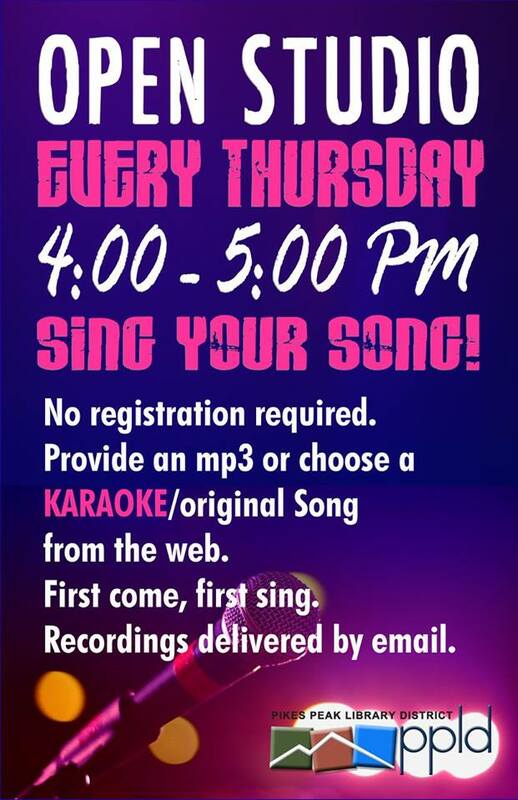 Karaoke or original versions available based on song selection. The file of your recording will be delivered via email. No registration required, first come, first sing! This is an all ages event, please limit explicit lyrical content. If you have questions please contact Keagan or TerryJosiah at 597-7070.